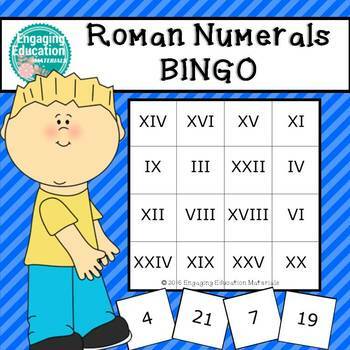 This work is designed to reinforce students' understanding of roman numerals. Students review roman numerals up to the number 25. 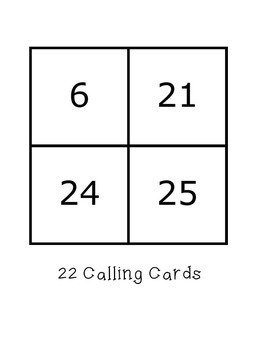 There are 6 bingo cards and 22 calling cards. 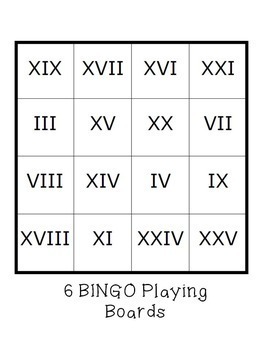 Students can work in cooperative small groups to play this bingo game.